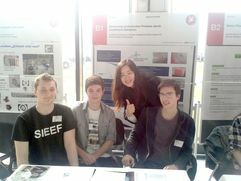 The technology of Xenoglue, which originates from our group, won the Science4Life start-up competition. Two represantatives of the Xenoglue-team, Christian Schipp and Tobias Schneider, took the award on the 13.03.2018 and the price money of 1000€. Before that they took part in a two day workshop about startup management. 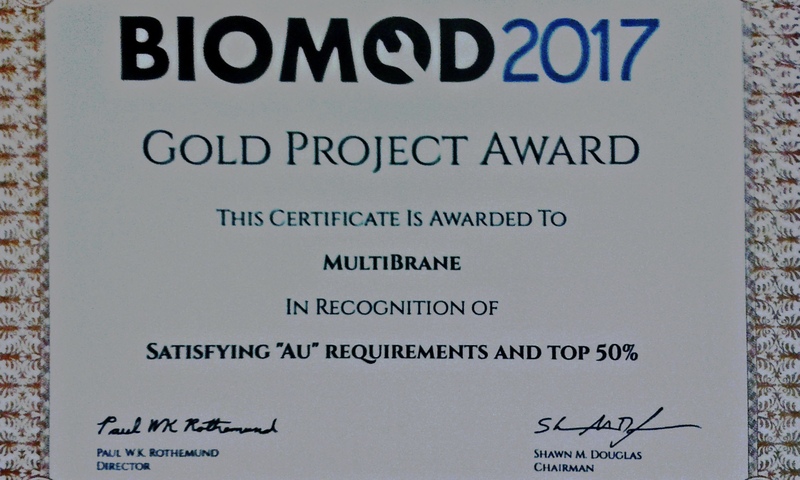 BIOMOD 2017: Gold winning MultiBrane team back from San Francisco! We would therefore like to express our sincere thanks to Saba Nojoumi and Franz-Josef Schmitt for their dedicated mentoring and support respectively. We also thank Hannah Aring and Nikolaj Koch for their work within the scope of tu projects. 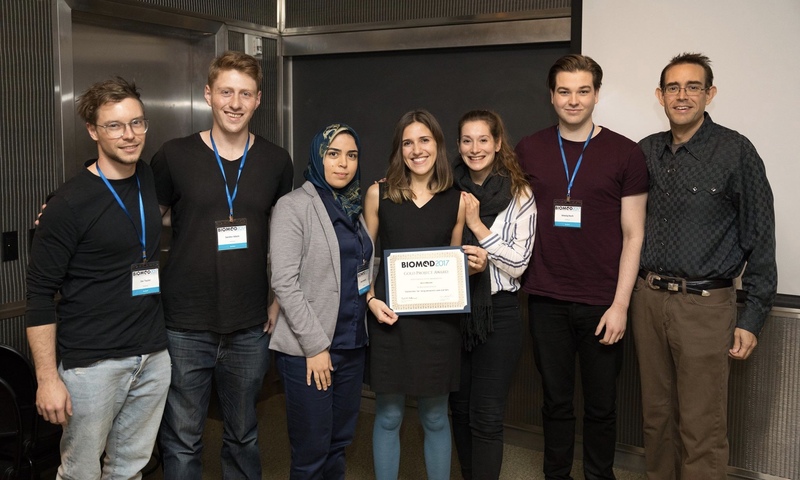 With this in mind, we congratulate again and wish all the best to all team members and look forward to the next exciting BIOMOD and iGEM projects in the future. The project results can be found on the team website. Regenerative medicine urgently needs biocompatible adhesives suitable for therapeutic use in the treatment of small bone fractures. Such an adhesive should allow rapid bonding of the bone fragments without the need for the attachment of plates and screws. The use of biological glue from marine mussels (so-called mussel-adhesive proteins, MAPs) - as potential environmentally-friendly bio-inspired adhesives - could be a solution to this problem. In nature, mussel secrets adhesive proteins and efficiently adheres to stone and other inorganic surfaces and even to man-made products such as metal and plastic (e.g. Teflon) materials. The secret of these bio-glues is the presence of catechol groups in the side chain of the non-proteinogenic amino acid L-dopa (L-3,4-dihydroxyphenylalanine) which is produced post-translationally by tyrosine hydroxylation and is capable of surface adhesion. However, isolation of such bio-glues from natural sources is expensive, inefficient, and it is not possible to produce large amounts of a homogeneous product by imitating post-translational modification machineries. On the other hand, current synthetic chemical or biotechnological synthesis pathways are not efficient. 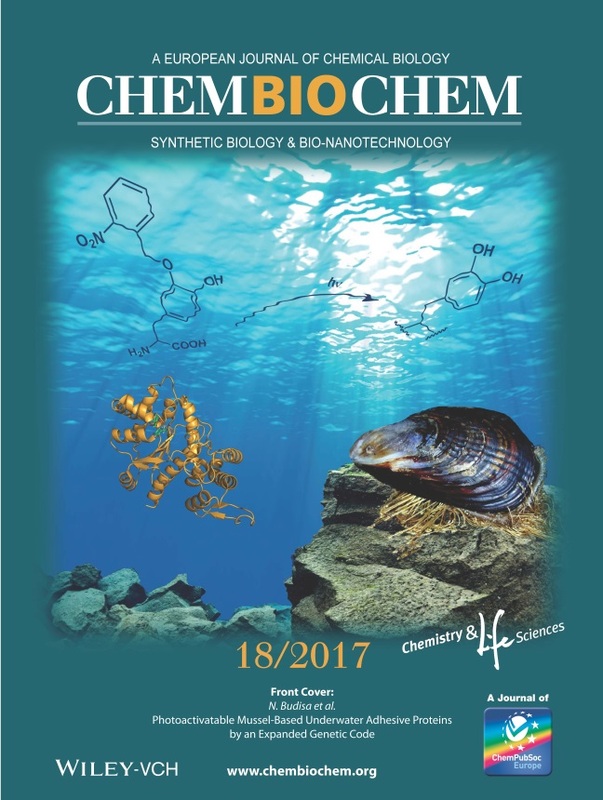 For these reasons, we have endeavored to solve this problem by applying an orthogonal amino acid translation to develop a new concept to produce DOPA-rich underwater adhesive proteins from marine mussels by genetic code expansion. 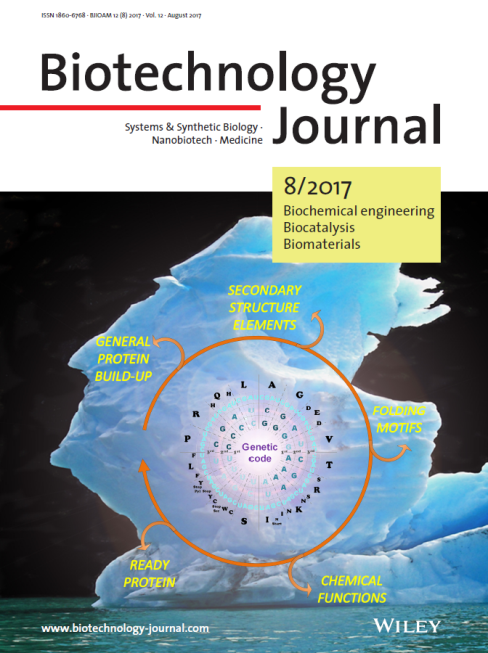 By using computational design and genetic selection methods, a novel Methanocaldococcus jannaschii tyrosyl-tRNA synthetase-based enzyme was engineered. 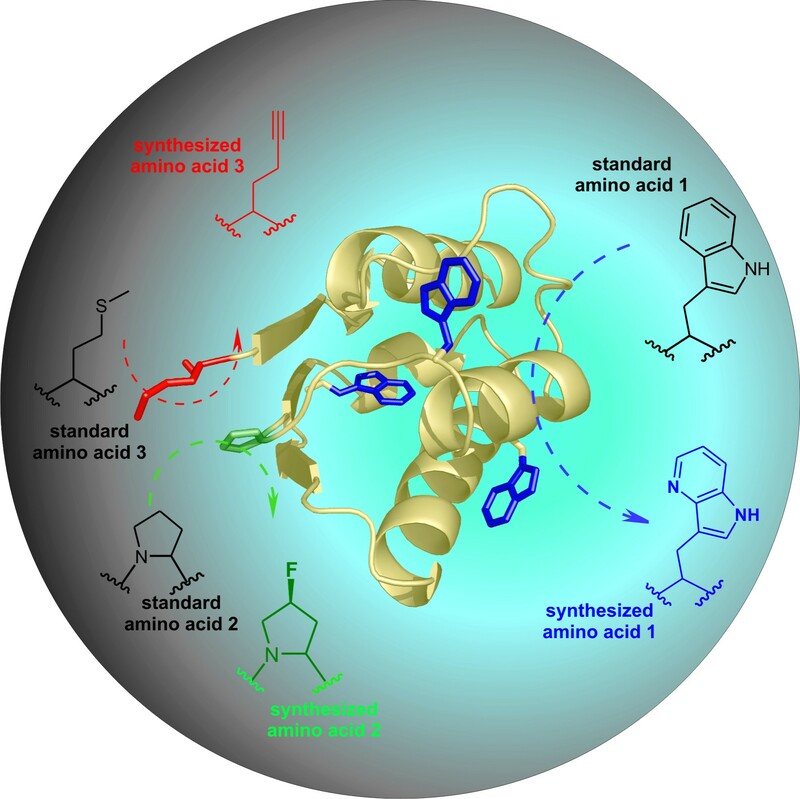 It activates the photocaged DOPA derivative ortho-nitrobenzyl-Dopa (ONB-DOPA) for incorporation into proteins in response to amber stop codons through orthogonal translation. In this way, mussel proteins are equipped with ONB-DOPA at multiple sites, which introduces spatiotemporal control over their adhesive properties. Exposure to UV light triggers cleavage of the ONB photocage, liberating the adhesive catechol side chain of DOPA. This strategy provides new ways for producing DOPA-based wet adhesives for application in industry and biomedicine with the potential to revolutionize bone surgery and wound healing. It is assumed that the genetic code experienced a transition from an ambiguous to a well-defined ("frozen") code, as we know it. 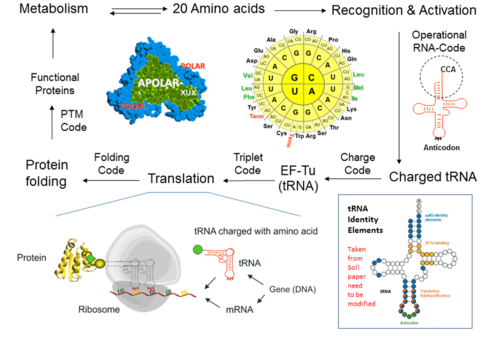 During this evolution, the protein translation, which first operated with few amino acids and produced the statistical proteins, developed into a highly accurate machine capable of producing very specific proteins, based on the 20 canonical amino acids. Since the genetic code operates well in many ways (e.g. 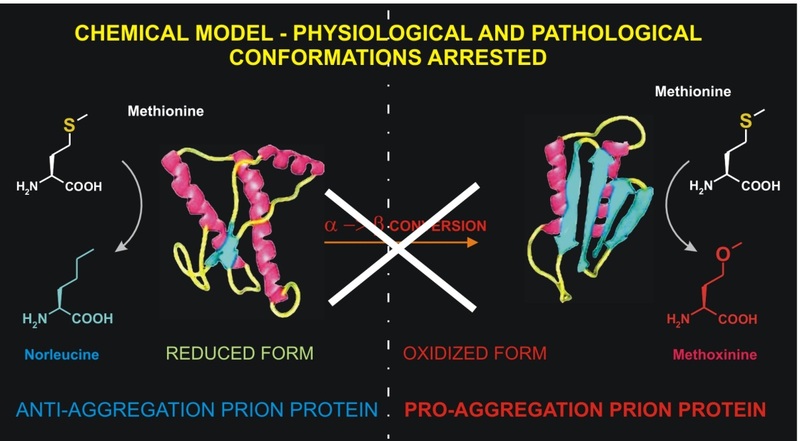 error minimization, protein folding, and metabolic integration), the fundamental question is, what are the barriers to attempts to change it experimentally? How can they be overcome? We have tried to find an answer and written an essay that is now published in the Biotechnology Journal (link) with a model that has allowed us to provide "entry points" for noncanonical amino acids in the ribosome protein synthesis cycle as shown above. In addition, Dr. Uta Goebel, Deputy Editor of Biotechnology Journal wrote a short news piece (link) at Advanced Science Website. Genetic code engineering is an important step towards the design of fully synthetic cells, where the natural flow of genetic information (DNA → RNA → Proteins) would be redirected or reorganized, resulting in a biocontainment associated with the "genetic firewall" (i.e. genetic isolation from the 'old' biological world). However, since the genetic code (almost unchanged over the past four billion years) is a fundamental level of biological complexity, any changes in its amino acid repertoire (substitutions, reductions, or expansions) require changes in mechanisms that have caused its conservation ("freezing"). Such experiments require the creation of an artificial ambiguity that should allow the inclusion of a new amino acid in its repertoire. Reprogrammed Protein Translation with Trifluoroethylglycine: Nature edits synthetic amino acids as well! Distinct chemical features of fluorinated amino acids may influence synthetic or editing pathways of aminoacyl-tRNA synthetases and contribute to protein quality control. Discrimination (i.e., proofreading) of AARS against artificial ncAAs such as trifluoroethylglycine is highly unlikely in reprogrammed protein biosynthesis since these enzymes have not encountered such a substance during evolution. Expanding the scope of ribosomal protein synthesis: Nomenclature of the expanded amino acid repertoire (cAAs + ncAAs). 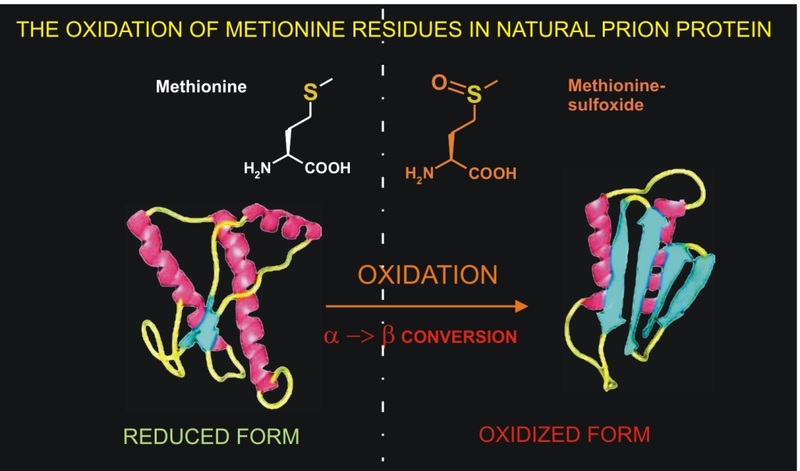 Fluorine being not substantially present in the chemistry of living beings is an attractive element in tailoring novel chemical, biophysical, and pharmacokinetic properties of peptides and proteins. 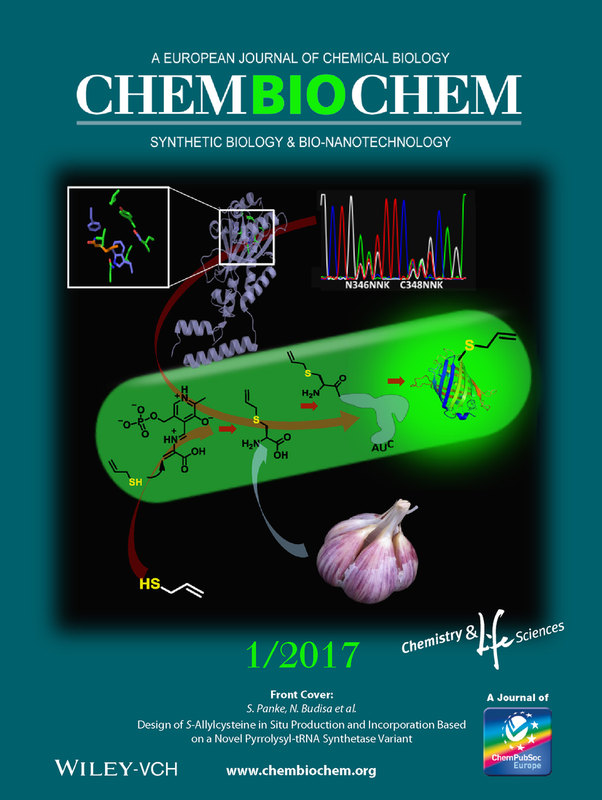 Design of S-Allylcysteine in Situ Production and Incorporation Based on a Novel Pyrrolysyl-tRNA Synthetase Variant. The chemical synthesis is still the main source of ncAAs of reprogrammed protein translation. These factors (i.e. market availability, price and purity) represents serious bottlenecks for ncAAs broader application in industrial biotechnology. Therefore, we need broadly applicable with useful chemical handles equipped ncAAs which are intracellularly produced from low-cost chemical precursors added to the growth medium. Here we exemplify these opportunities with our newly engineered PylRS variant capable of activating and tRNA charging with S-allylcysteine (Sac) generated in situ from a cheap precursor allyl mercaptan, using the cysteine biosynthesis pathway. The biological abundance and biosynthetic production pathway of Sac greatly reduces the cost of protein production, potentially making industrial-scale applications feasible. The most structurally disturbing deviation introduced into Life so far! Finally, our evolution experiments have yielded viable cells with a noncanonical genetic code after 506 days of continuous manual culturing, and we have been successfully published! 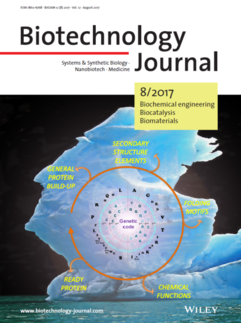 We performed the experimental evolution/adaptation (a so-called long-term cultivation experiment) of the bacterium Escherichia coli, which allowed us the completely replace one of the endogenous building blocks, tryptophan (20899 TGG codons), with an exogenous/synthetic one (thienylpyrrole). Original paper in German here. Original paper in English here. Importance: The chemical composition and the genetic code of an auxotrophic E. coli were changed in the frame of a long-term evolution experiment. During the experiment the cells were gradually forced to replace the natural building block tryptophan with thienopyrrolylalanine in their proteomes. This is the first step in the creation of synthetic life, which should be genetically and metabolically so far away from that found in nature that it cannot survive outside of the laboratory. Nediljko Budisa talks about the genetic isolation that can be achieved by recruiting new chemistries in the protoplasma of living cells. Ned presented a talk about biocontainment, the genetic firewall, perspectives on synthetic life and artificial biodiversity during the second Bio-Fiction Science Art Film Festival (23 - 25 October, 2014; Museum of Natural History in Vienna, Austria). 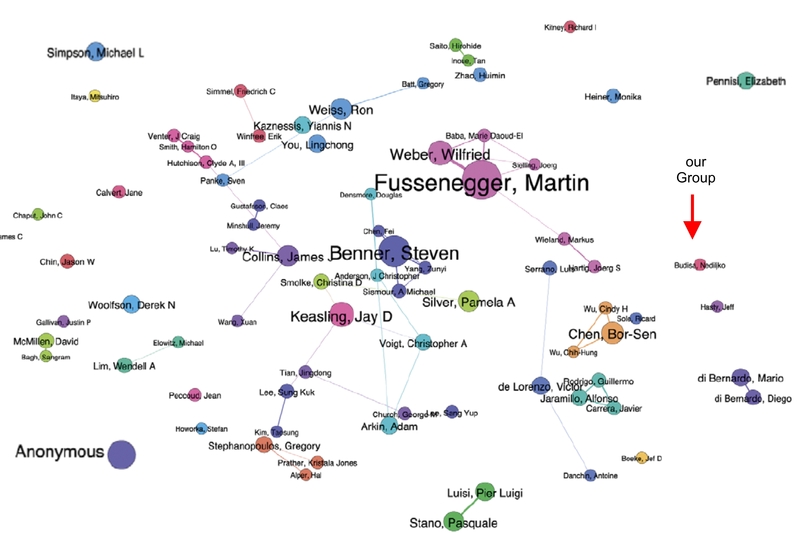 It was published online by Markus Schmidt and his team at the beginning of this year (Video). Ned’s talk summarizes ideas, concepts and visions he has developed in the last 10 years, published first in 2011 with Carlos Acevedo-Rocha in Angew. Chem. and more recently in 2014, in Curr.Org.Chem. Ned believes that the field of genetic code engineering has finally reached intellectual maturity with a clearly defined conceptual framework for future experiments. Recent “Nature” papers of Church (link) and Isaacs (link) with further experimental work on biocontainment, via amber stop codons in the frame of synthetic auxotrophy, confirmed his predictions and expectations. In the next stage, the whole field of genetic code engineering should gradually turn to sense-codon reassignment as the most reliable route for changing the genetic code, allowing for the code to be engineered and expanded (link). 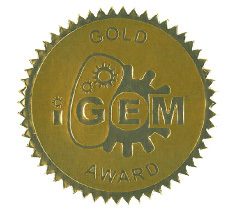 iGEM 2014: Gold medal for the first and only team in Berlin at the world's largest competition for Synthetic Biology. 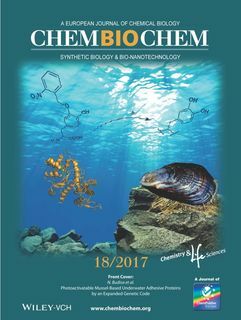 Recently, in collaboration with Dirk Schulze-Makuch we published two papers regarding the possible biochemical alternatives for 'terrestial' life chemistry. In the first paper we elaborated on possibilities for non-aqueous biochemistry in such seemingly extreme environments, such as supercritical carbon dioxide (link). We were driven with recent observations that several bacterial species are able to toleratet (i.e. can survive) these conditions. The second paper, gained surprisingly less attention, although it is to our opinion that this is even more “exotic” that the first one (link). We tried to make an easy-to-read and informative essay on hypothetical fluorine-based life for a non-specialized readership. Students working in synthetic biology supported by our laboratory won first prize at the annual scientific "Jugend forscht " competition! On Wednesday, February 12 2014, the best research projects submitted within the research competition "Jugend forscht" (a German youth science competition) were crowned. 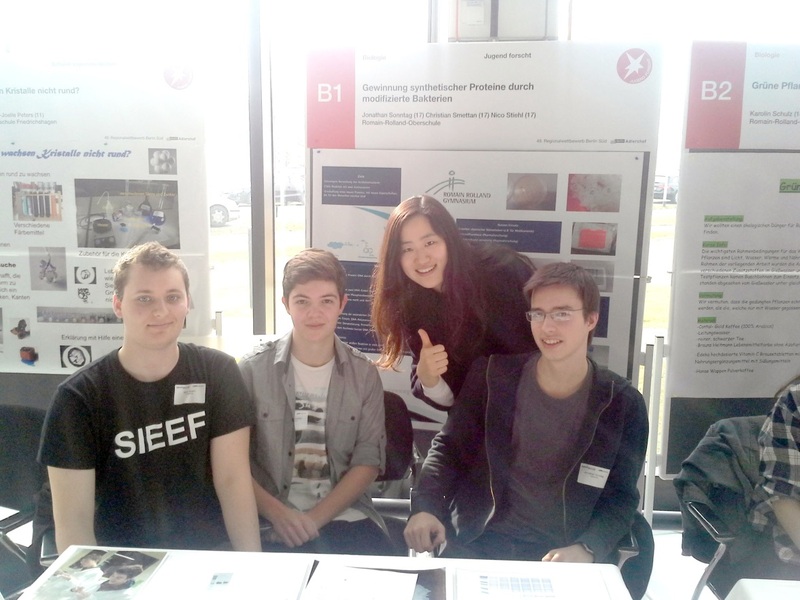 Project entitled "Production of synthetic proteins from modified bacteria" which was supported by our co-worker Katrina Ying Ma, received the first price in one of the three Berlin competition centers. Team of the young school level (11th class) young scientists (“Roro boys”; Jonathan Sonntag, Christian Smettan and Nico Stiehl) from the Romain-Rolland-Gymnasium in Berlin-Reinickendorf spent several hours performing experiments with synthetic amino acid incorporation into proteins in our lab. Their project was submitted in the category "Biology" and was subsequently awarded with the first prize in this category at the south competition center. These excellent results come from collaboration between BIG-NSE, Biocatalysis Group and Dr. Angela Köhler-Krützfeldt, teacher at the Romain-Rolland-Gymnasium ("Roro") in the northern part of Berlin. As we can read from BIG-NSE site (http://www.big-nse.tu-berlin.de) during the coming weeks, the project will be further optimized before Katrina Ying Ma and her team get submitted it again on the Berlin wide level at the end of March. The winners of this round will get a chance to compete on the nation-wide level. We wish Katrina and her young school level scientists all the best for the next steps of the competition! According to philosopher Prof. Köchy, specialist scientists provide no objective view in current discussion topics, but always seem to bring their personal opinions into the discussion. In Budisa's example, he suggests a chemical concept of life being present, but with also a metaphysical element. Summary of Ned's Talk: Crucial for "life", however, is not the matter itself, explained Budisa, but the way in which it is organized. This type of organization is defined by the genetic program and its language, the genetic code, is understood by all organisms. "It is perhaps the only language that is not contaminated by culture," says the biochemist. He believes that a modified genetic code in synthetic organisms can also serve as a kind of genetic firewall that prevents the exchange of genetic material between synthetic and natural organisms. In this way, artificial biodiversity could arise, possibly even a parallel world, using previously unused materials... That this could tantamount to a genetic firewall and lead to the establishment of a parallel biological world, had become clear to him only in retrospect. Nediljko Budisa explains why we are changing the genetic code and how genetic code engineering, can help us, for example, to create bio-based biomaterials useful in small-bone surgery to close wounds or to knit broken bones together. Webcast of the talk entitled 'Towards the genetic code with a maximum degree of chemical liberty' given by Nediljko Budisa (Berlin Institute of Technology, Germany) presented at the joint Biochemical Society / Protein Society Focused Meeting 'Protein engineering: new approaches and applications', held in April 2013 (published 09.08.2013).